Vitreous enamel, also known as porcelain enamel, is created by fusing powdered glass to a steel substrate by firing it at high temperatures. 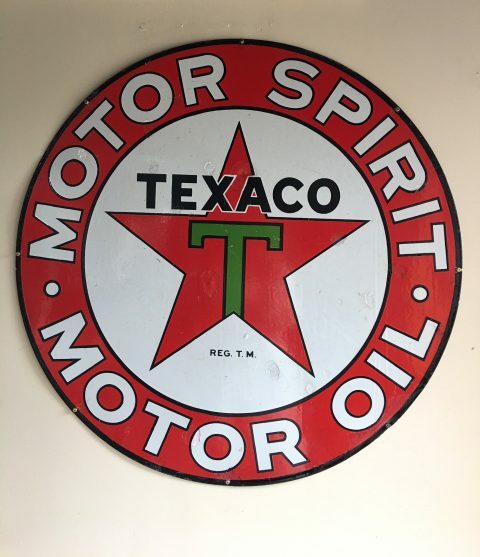 It is an extremely durable product and the long-term colour stability is evident in the vibrant, original colours of enamel signs produced a century ago. A vitreous enamel sign from the same era as the tanker. The smooth, glass-like surface is weatherproof and UV / fade resistant. It is fireproof and chemical resistant, therefore it is easy to clean and graffiti can be removed effortlessly. Vitreous enamel is also resistant to abrasion and corrosion, and is fully recyclable. The enamelling process has been around for more than 3000 years and is still used today on household appliances, street signs and architectural panels. The use of porcelain / vitreous enamel on advertising signs began in Germany and other parts of Europe around the 1880s. Within a decade, the techniques and art of producing porcelain enamel had spread to the United States and several manufacturing companies were formed. One of the first companies in the U.S. to produce porcelain enamel signs was the Enameled Iron Company in Pennsylvania. In Maryland in 1898, the Baltimore Enamel & Novelty Company was established and in 1901, the Ingram-Richardson Manufacturing Company was formed in Beaver Falls, Pennsylvania. Examples of porcelain enamel signs. Paper and cardboard was a large part of the advertising market but was, of course, limited to interior displays. 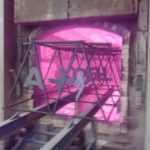 The introduction of vitreous enamel signage as a permanent, high quality and hard-wearing advertising product, enabled businesses to promote their goods and services outside regardless of the climate conditions. 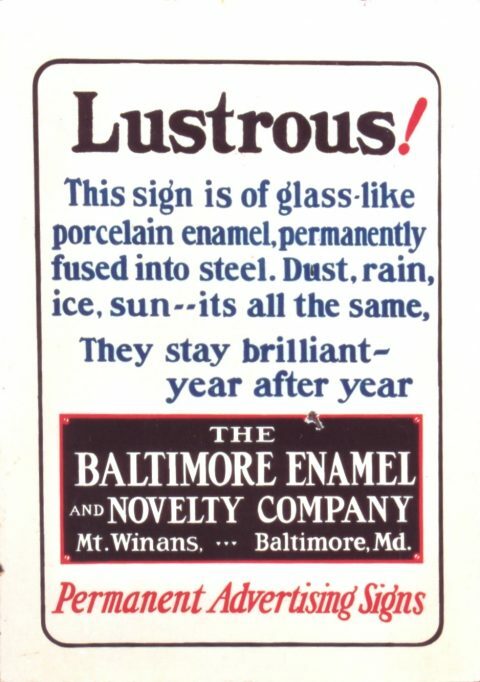 The manufacturer that caught my attention while researching the early enamelling companies in the U.S. was the Baltimore Enamel & Novelty Co. 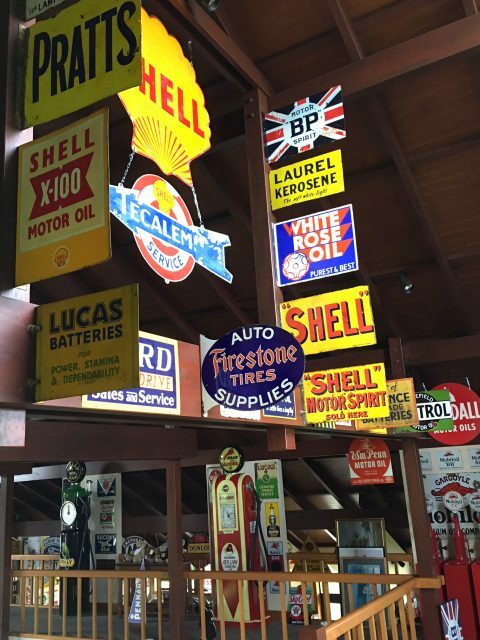 This company produced porcelain enamel signs for major oil companies such as Texaco, Atlantic, Gulf and Sinclair. 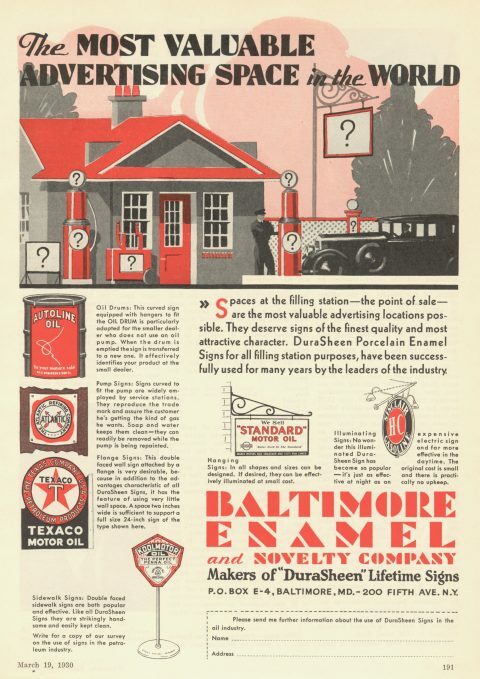 So if I had to hazard a guess as to which company manufactured the tanker letters, I would have to lean towards Baltimore Enamel given the existing relationship that it already had with Texaco. The following advertisement targeted gas stations and promoted the use of porcelain enamel signs for “all filling station purposes”. A Baltimore Enamel sign advertising porcelain enamel signs! During World War II, many metal objects were melted down to support the war effort. Porcelain enamel signs were no exception, and many were sacrificed to recover the base metal that the signs were made from. Following World War II, the cost of manufacturing enamel signs proved too expensive and the use of these signs dwindled away. The next era of advertising tended to use tin signs with graphics applied using enamel paint. The use of the word ‘enamel’ causes some confusion but the two processes are worlds apart. Our search for a company in New Zealand that could replicate the tanker letters using the original vitreous enamelling process, led us to Procote Industries Limited in the South Island city of Dunedin. 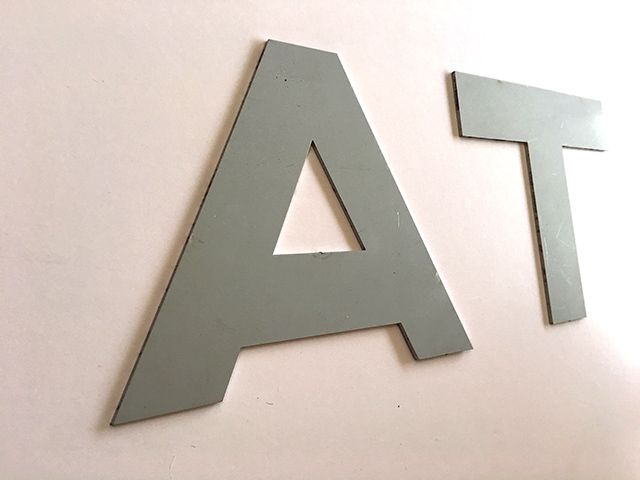 Some test letters were cut out of 2mm EG steel at Hi-Tech Metals and then sent to Procote Industries for them to enamel. The initial trials had a couple of teething problems but worked out extremely well given that it was the first attempt. Neville Dasler, the manager at Procote, sent me an explanation on how the enamelling process will work on the letters. Prior to application, the ceramic glass granules known as ‘frit’ will be ground down to a very fine powder and mixed with water to produce the enamel. The black base coat, or ground coat, will be applied first and baked on in the furnace. This process will produce the glass coating that is fused to the steel surface. The firing temperature will be between 750 – 850 degrees Celsius (1380 – 1560 degrees Fahrenheit) and the letters will then be left for around a week. 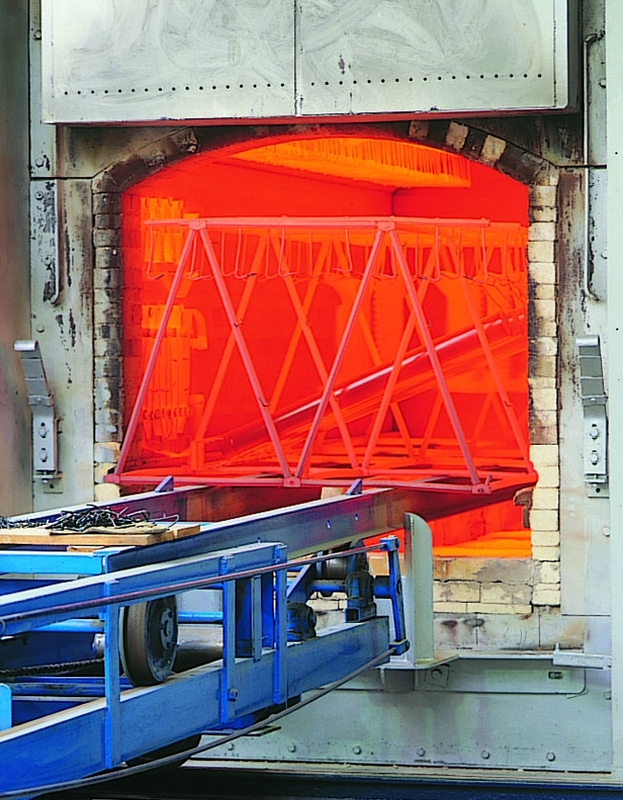 The furnace at Procote Industries Limited. The next step will be to make a stencil to expose the black border around each letter. The second firing, or cover coat, of the white colour will then be done at a cooler temperature. The black base coat will soften slightly during the second firing but, as a lower temperature will be used for the white cover coat, the two colours won’t run together. The true beauty for us with these letters is that they will all be handmade as they were back in the thirties, and will therefore each have their own individual appearance. Mitch has finalised the artwork on the tanker letters and we are about to get all the letters cut in the same thickness EG steel as was used for the trial runs. As the original brackets are still attached to the tanker body, the opposing brackets on the new letters will have to be made exactly the same and positioned precisely as they are on the original letters. 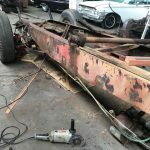 Once Steve has welded the new brackets on to the cut letters, he will have to trial fit them to the tanker to ensure the positioning is perfect. 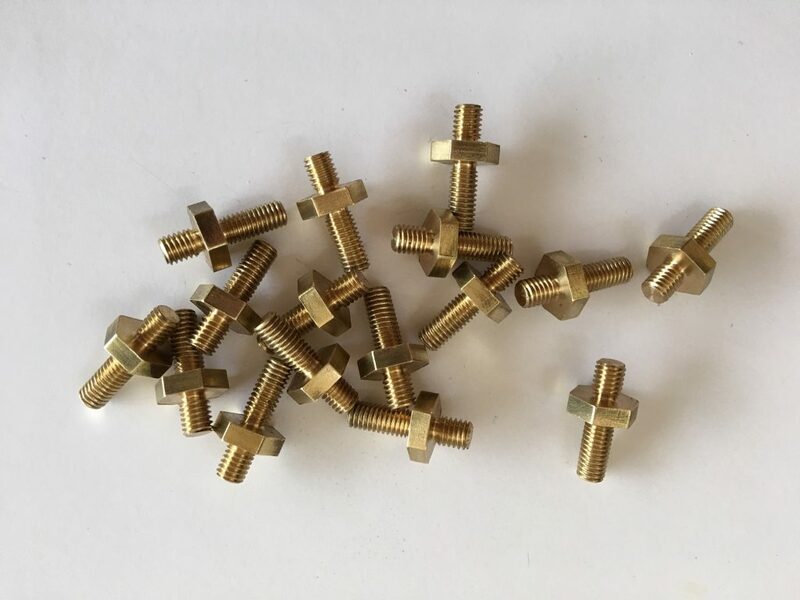 We have had a number of new double threaded studs CNC machined out of brass. These will be used to mount each bracket on the letters to the corresponding bracket on the tanker body. Once Steve is happy with the fitting, the letters will be sent down to Dunedin to be vitreous enamelled. On a recent trip down south, Steve had the pleasure of meeting everyone at Procote and seeing first hand the factory, furnace and equipment used during the enamelling process. 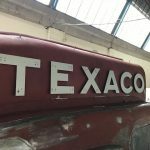 Neville and the team are enthusiastic about the tanker project, and we are very much looking forward to working with them to reproduce the iconic Texaco letters in their original form. 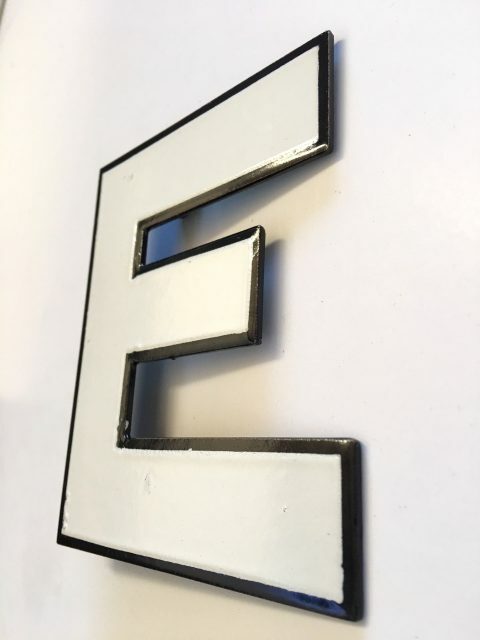 We also do the Porcelain Enameling here at Nostalgic Reflections, in the USA, but we specialize in doing the small radiator grille emblems and small signs. Thanks Jerry. 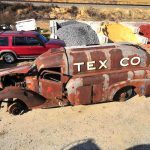 If we ever get to Washington, we’d love to come by and see your shop. Enjoying these updates immensely! You are doing a fascinating job! Your attention to detail is admirable, Great to see a Dunedin Company able to help. You can tell i’m in Dunners. Thanks Tony. We are very lucky to have found such an enthusiastic team to enamel the letters. I have been following this project since day one. 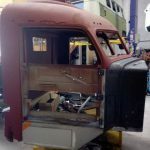 You have one incredible eye for detail.This alone will make for one outstanding truck.Keep up the great work.Looking forward to the next post. Thanks for your comments John, and your ongoing interest in the project. Thanks Lou. We are really looking forward to seeing each individual piece.